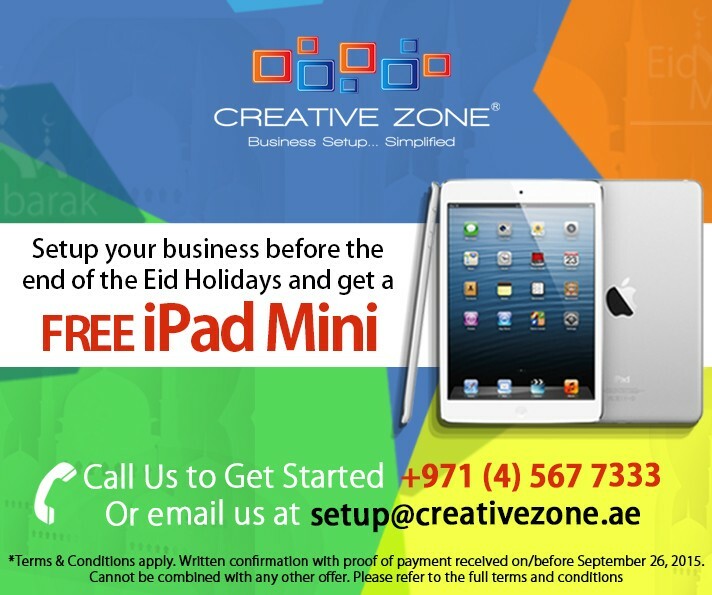 1. iPad mini offer excludes offshore setups, Fujairah Company only and monthly payment packages. 2. Company setup confirmation and bank transfer receipt must be received by email no later than midnight 26, September 2015. Offer will not be extended after this time. 3. This offer may not be used in conjunction with any other promotions or discounts and is not applied to contracts lodged prior to 17, September 2015. 4. Please confirm your booking by email setup@creativezone.ae or contact your Business Setup Advisor.